Like any other countries in the Universe, South Korea has also its own "standard" when it comes to lifestyle. While Southeast Asian countries have generally similar traditions and culture, the land of the calm morning has also some strange practices that may appear unique to foreigners and expatriates alike. If in the future you get the chance to work or visit South Korea, you may like to check out the following Do's and Don'ts and learn it by heart. 1. When dining in a fast food, don't you ever leave your table with all those food wastes. 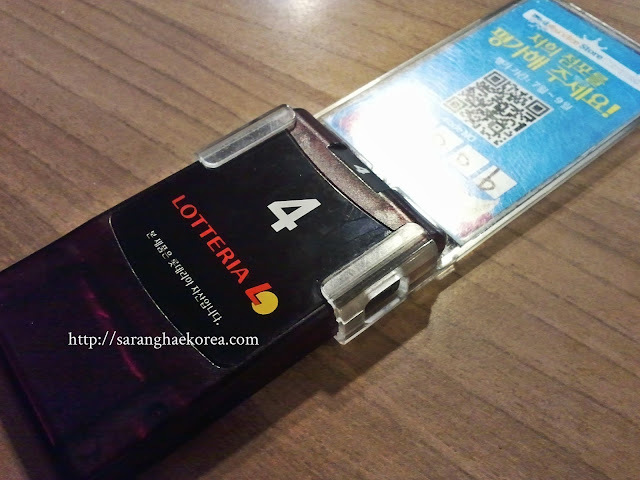 Fastfoods here in South Korea like Lotteria is self-service. From ordering, to getting your orders, to waste disposal, you have to do it all by yourself. Don't wait for a staff to serve you your food or clean up your mess because nobody would do it for you. When you order your food, you will be given this cute buzzer. If this buzzer will activate, that means your food is now ready and you have to go to the counter and get your own food. After you finished your food, you must dispose your food waste "properly", and when I say properly, you must separate the plastic, the food left overs and the biodegradable ones. You can't just sit there, wait for your order, eat your food and leave. Here in South Korea, you just pay and work for your food when eating in the fast foods. 2. Don't you ever dare sit in the specially designated seat in the train or in the bus. 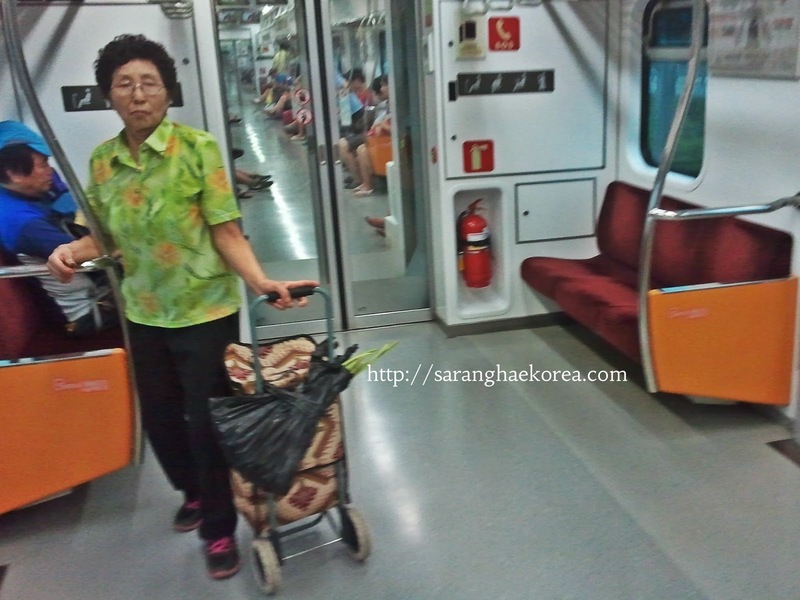 Korean seniors can scold the young ones even in the public, so please, for God sake, avoid competing with them. 3. Do always take the right lane of stairs and escalators. Stairs and elevators don't have really a standard when it comes to using it, but not here. Almost every staircase has this encrypted signage that reminds people to always take the right lane. The purpose of this is to avoid bumping with whoever is going against your direction because they too will take the right lane. The same is true with the escalators, albeit it's always one way, you must stay always in the right lane to give way for those who are in hurry. When I was still new here in South Korea, I was standing in the wrong lane of the escalator and I was a little bit humiliated when this "ahjumma" behind me shoved me and I was told to always stay on the right. But of course, retaliation is not an option. This could be a little bit of a culture shock to us but yes, somebody older than you can just shove you out of their way minus the "Excuse me". For us, it's rude, but for them, it is not a big deal, so you must just have to swallow and accept it. 4. Do acknowledge your host before and after you eat. If somebody serves you food, you must say "Siksahaseyo" before you eat which means "Let's eat" or something similar to that. And after you eat, you must say "Chal Mogotssumnida" which means "Thanks for the delicious meal" or something similar to that. It is not really required to do that but if you don't want to appear rude in the Korean cuisine, you should do that. And the list of do's and don'ts continue, but for now, I can only provide you these four basic and important reminders. You may violate these rules, but if you want to gain respect from the nationals, it would be good if you can follow the standards. Effort! but easy to learn and adapt..
Hey we do have our own ways in doing things too..
Its should be out of respect to know these before hand prior to a visit. i will recommend this post to my sister because shes on vacation right now in there! thanks for sharing this! 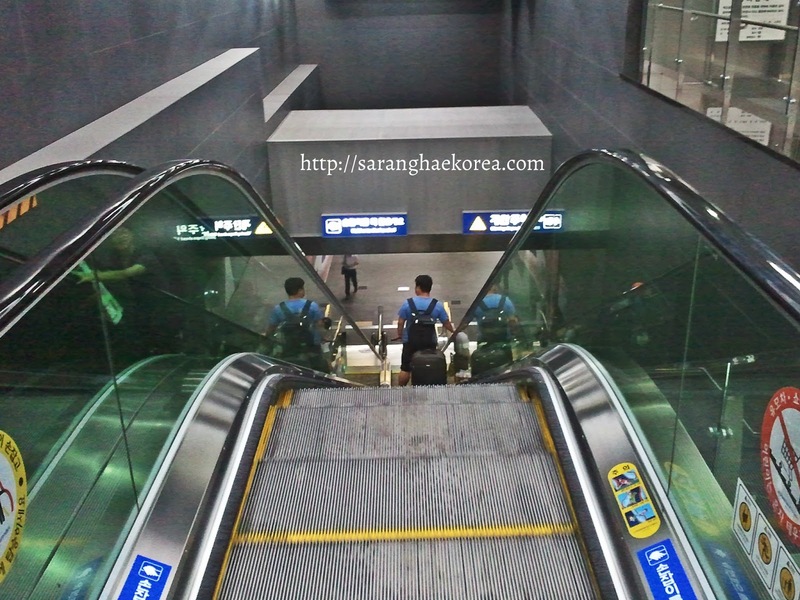 I also recognize the similar pattern on the being on the right part of the escalator in Taiwan, HK and Singapore. I also like the self service. At the end of the day, it lowers down the cost of food if the expenses on cleaning is reduced. 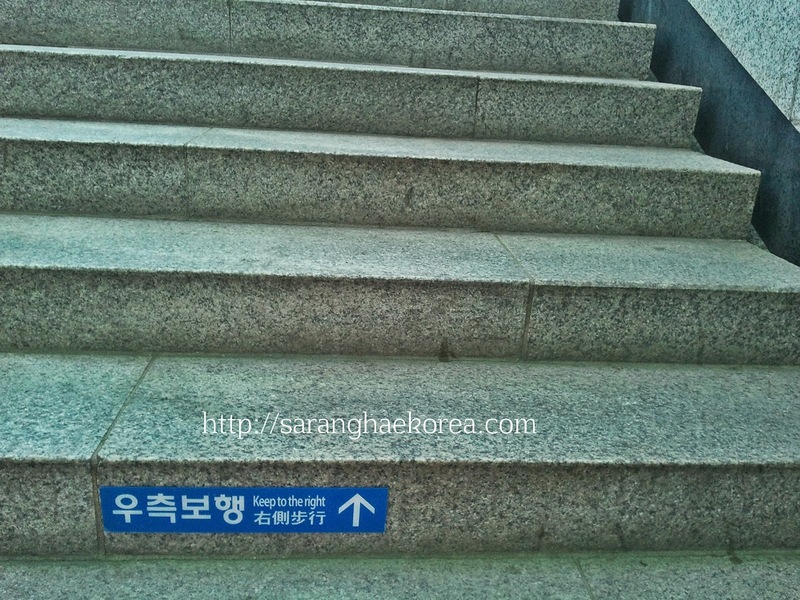 This means Koreans know what is the rich value of discipline and order to avoid confusion and even accidents. Koreans sure do know how to stay disciplined. This is the first time I have heard of those rules. I'll keep these in mind whenever I get the chance to visit Korea. I'm taking notes here :) I guess those with Chinese ancestry follow these kinds of norms. When I was in Taiwan, eventhough it was a rush hour and lots of people going around, you'll still see them follow a pattern, like to always stay right and give people in a rush an access to the left side. I think its admirable coz there's peace and order. The Koreans are known for their discipline and definitely seen in this post. Sana, Pinoys also adapt these set of standards. I hope these good practices will be implemented in our country too.